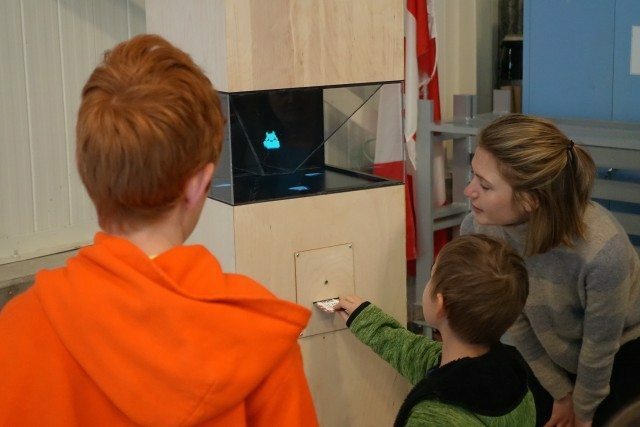 With the launch of Bitmorph, the Science Centre aims to improve its technology—and its educational reach. Museums are a cultural touchstone. They’ve existed in different cultures for thousands of years, but their place in today’s world has been harder to understand. Instead, they’ve had to look for different ways to engage people. “It used to be, if you wanted to learn a fact, you had to come to the Science Centre,” says Kevin Von Appen, the director of communications at the Ontario Science Centre, as we walk around the nearly 28,000-square-metre building. In a world where any fact is a Google search away, libraries, science centres, and museums are losing their relevance. Sure, the centre is built to bring your senses the life: there are tubes running from the ceiling, life-size cross sections of the human body, strange sounds, and flashing lights. But what staffers expect will truly engage visitors are tiny boxes—all part of a project called Bitmorph. The rectangular boxes are roughly 150 centimetres from the ground, and have an all-black, prism-like viewing area inside. 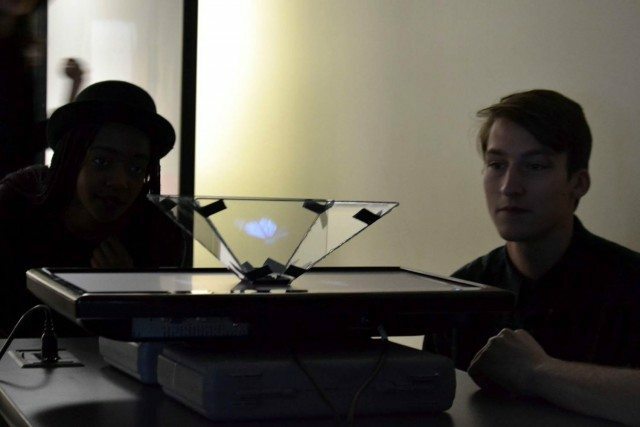 Users can insert cards into the box, and become entranced by holograms. During my trial, I watched as a cute hologram popped to the sound of a track straight out of an 8-bit video game. This little guy was my virtual companion, and he would evolve as my mind did: every time I went to a new space in the Science Centre, I could put my card back into the machine and my hologram character would pop up again—this time with some changes. In one section of the museum, I inserted my card to find that my little blob had sprouted wings. While I enjoyed watching my hologram grow, I’m not exactly the target demographic. The idea is mostly for children to come to the Science Centre, get attached to their avatar, and go home. On their computers, they can navigate to a website where they can view their character and take a deeper dive into the information they learned during their outing. Though Bitmorph is targeted at younger learners at the Science Centre, it started as a way to engage an entirely different set of learners: university students. Ryerson University new media students built, fabricated, and programmed the Bitmorph machines as part of an elective course, and then launched the pilot program at the Science Centre. “The idea was working together on something where students could get a compelling experience that they could only get working with the Science Centre, and the Science Centre could try out some new things and create something cool for visitors,” Von Appen says. While the Bitmorph pilot project seems to have a clean and definitive purpose, it aims to answer a question at the heart of problems the Science Centre may face in the future. “The question is how we can get people to explore the Science Centre in a new way,” Von Appen adds. The goals of the creators of Bitmorph were more modest. “We wanted to create a piece that would actually stand up while it’s in the Science Centre,” says Lucas Teng, a programmer who worked on Bitmorph. For Von Appen and the Science Centre, Bitmorph is just one step toward modernizing and changing the place the Science Centre holds in society. Though attendance at the Science Centre isn’t declining, it has flat-lined over the past few years. “There are so many choices, and that means all attractions like the Science Centre, and the ROM or the AGO, all have to adapt,” Von Appen says. Though the Science Centre wants to bring more visitors in, staffers like Von Appen recognize that it can’t just be an attraction. It must also be educational—and education doesn’t necessitate boredom. Von Appen says that in addition to Bitmorph, the Science Centre is looking to experiment with virtual and augmented reality as well.